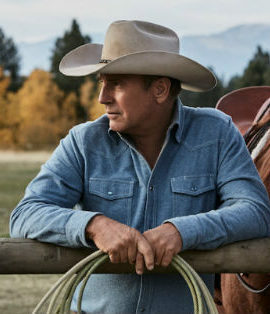 The new Paramount drama Yellowstone feels like a natural next step for Kevin Costner. The Oscar-winning director is well-known for Westerns that embrace big storylines and wide-open arenas. From Dances with Wolves (1990) to Wyatt Earp (1994) to the Hatfields & McCoys (2012), the actor appreciates the great stories that this genre has to offer. Yellowstone offers a great backdrop for the actor to thrive in but the program’s melodramatic flair undercut some of its greatest assets. Costner stars as John Dutton, the patriarch of a strong-willed family in Montana. His son Lee (Dave Annable) lives at home and manages the family’s large ranch. Jamie (Wes Bentley), the most polished of the siblings, is a lawyer working in politics (his own political aspirations are evident in the first few episodes). John’s third son Cory (Luke Grimes), a father himself, is estranged from most of the family. He’s the son who set his own course in life, married a woman from a nearby Indian reservation and doesn’t need his father’s approval. Beth (Kelly Reilly) is John’s daughter, a woman who stands apart from her three siblings. While her three siblings — including Jamie — feel at home on the ranch, Beth feels more at home in the boardroom, where she knows how to strike directly at her opponent’s wallet. The pilot sets the show up as a unique look at the West and the rivalries that come with it. But there’s a tendency here for the show to reveal its hand too early, setting the show up as too melodramatic for its own good. At first, the show seems grounded in realism but some of the later plot developments reveal that the show’s plot quickly becomes unrealistic. Like the long-running drama Dallas (1978), this show features a prominent ranch as one of its main settings but Dallas — at least at first — focused primarily on the inner workings of a family and their business. The more sinister aspects of their business were featured in latter season. Here, the family’s darker impulses are quickly revealed and we can see that members of this tribe (which also includes the employees on John’s ranch) are truly vicious. At times, the show wants to have it both ways. It wants to be a realistic drama about a ranch and the frustrations and battles that come with the wide-open spaces of the West. At other times, it wants to be a crime drama where supporting characters kill to cover up potential crimes. That isn’t to say that Costner doesn’t do a fine job in one of the main roles here. He easily balances his character’s tenderness towards his family (and the grandson he was once estranged from) with the tough-mindedness that comes with running a business. He’s one of the standouts here and it shows how much of a passion project this has been for him. Alongside John Linson, Tayor Shreridan created this new drama. 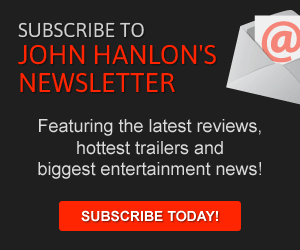 Sheridan is the talented writer of such unique features as Sicario, Hell or High Water and Wind River. His films are usually unique in showcasing characters thriving in desolate lands where spaces are usually open but opportunities are limited. Yellowstone continues that trend in terms of capturing a unique environment but it too often stumbles over its own ambitions, leaving its realistic concept in the dust.